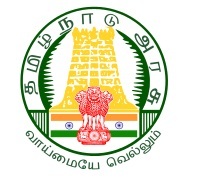 TN TRB Recruitment :- Tamil Nadu Teacher Recruitment Board (TN TRB) has released recruitment notification for filling up 272 vacancies. There are Lecturer vacancies in the department.Last date for sending application forms is 30.07. TRB TN Recruitment on 272 vacancies of Lecturer.Teacher Recruitment Board will be organising Written Test on 272 Lecturer posts. Applicants who wish to download the details should send their applications before the last date. Check eligibility, selection process, how to apply from below details. Education Qualification :- Participants who wish to fill up the application form Tamil Nadu Lecturer Vacancy should have Post Graduation/ Master’s Degree (M.A/ M.Sc/ M.Com)/ M.Ed in the respective subject or its equivalent from any recognized university and institute. Age Limit for TRB Recruitment :- Maximum age of the applicants should be 57 year as on 31.07. Age relaxation to the applicants is applicable as per govt. rules and regulations. SC/ST will have 05 year of relaxation and OBC category will have 03 year of experience. Application Fees :- Candidates who are interested to apply should pay Rs 50/- as the application fees. Apart from it applicants have to pay TRB Exam Fee which is given below. TRB Lecturer Exam Fee:- Examination is to be paid in the offline mode. General and OBC Category need to pay Rs 500/- and SC/ST applicants need to pay Rs 250/-. Selection Process :- As it is a direct selection, participants will be shortlisted on the basis of Written Exam only. Participants who declared pass will be appointed on Lecturer designations. Participants who are applying against Tamil Nadu Lecturer Jobs should pay attention towards the Exam Pattern and Syllabus of the Lecturer Exam. Below is the details. 02. On the home page go at Notification link. 03. Download the details and start filling up the forms. 04 Download the Performa of the application form on A4 size paper. 05. Fill up all the details carefully. 06. Enter Personal Information, Permanent postal address, Photo, Signature, education in the application form. 07. Submit all the details. 08. Enter the information of payment. TN TRB Recruitment for the post of Lecturer jobs on 272 vacancies. Last date for sending offline application form is 30.07.